In the case of the Kobelco SK210-D, despite the machine's parts commonality with standard excavators, the machine is decidedly not an excavator. 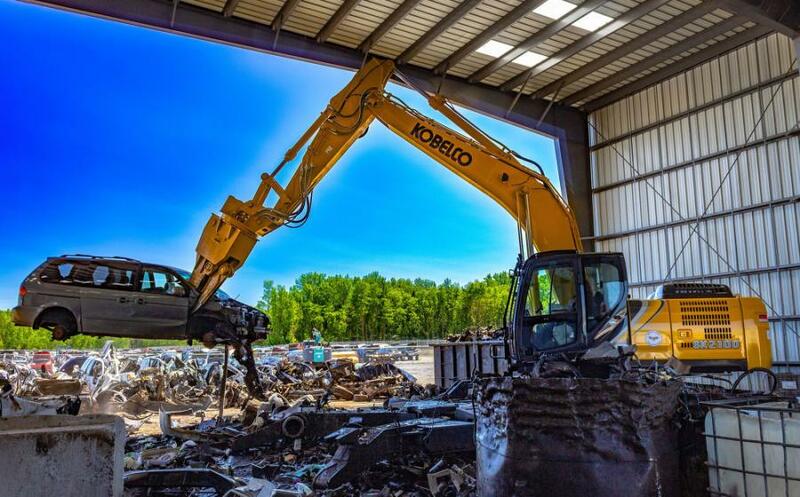 The SK210-D is a car dismantler, and Tracey Road Equipment recently sold one to Wilbert's U-Pull It in Williamson, N.Y.
For automobile recycling facilities such as Wilbert's, the Kobelco car dismantler brings with it a host of advantages. The speed and accuracy of dismantling automobiles is increased four-fold over hand dismantling, giving substantial savings in labor costs — rather than requiring a team of workers to dismantle a car, the car can be dismantled with one machine and one operator. The Kobelco SK210-D is uniquely adept at dismantling complex items, which can dramatically reduce the potential for contaminants affecting the environment, according to the manufacturer. The dismantling machine is designed to take apart vehicle bodies, engines and other metal components with safe, efficient operation. The machine is equipped with two specialized crushers for different dismantling tasks — one is suited for small scale separation and sorting, including small parts such as electrical fittings and harnesses; a second crusher has a more powerful grab and increased cutting force, strong enough to cut through chassis and frames. At the base of the machine is a clamping arm, which can grip, lift and turn the entire vehicle, improving the overall process efficiencies. Over the past two decades, the price of scrap has experienced significant volatility. Today, it is far more important than ever that recycling facilities maximize their efficiencies. By pre-dismantling an automobile, profits can be maximized by separating out high value recyclable materials, such as aluminum and copper wiring. At the U-Pull It facility, every part of the automobile that can be recycled is recycled, including tires, wheels, and even lubricants and windshield washer fluid. 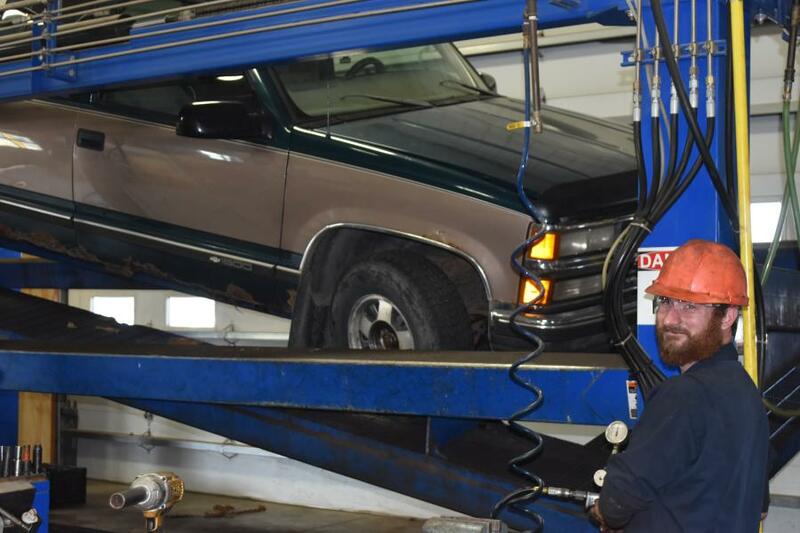 Wilbert's currently has 4,500 vehicles in inventory and is processing approximately 10,000 vehicles a year. The company has grown from having 20 employees in 2000 to currently employing more than 120 people. For its full-service parts operations, the Internet has expanded the company's reach to where it can now fill orders and ship worldwide. 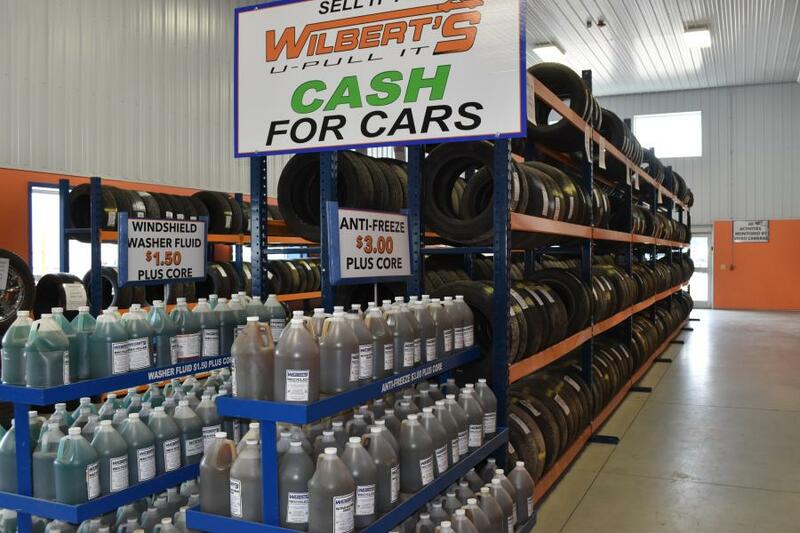 Wilbert's has received approvals from many insurance companies to provide body parts for auto repairs. To keep that relationship in place, quality products must be delivered every time. The company offers warranties on many of its parts, so it is critical that the parts that are shipped have been tested and are in good operating order. The company's secondary focus is having the cleanest and greenest facility in New York State. 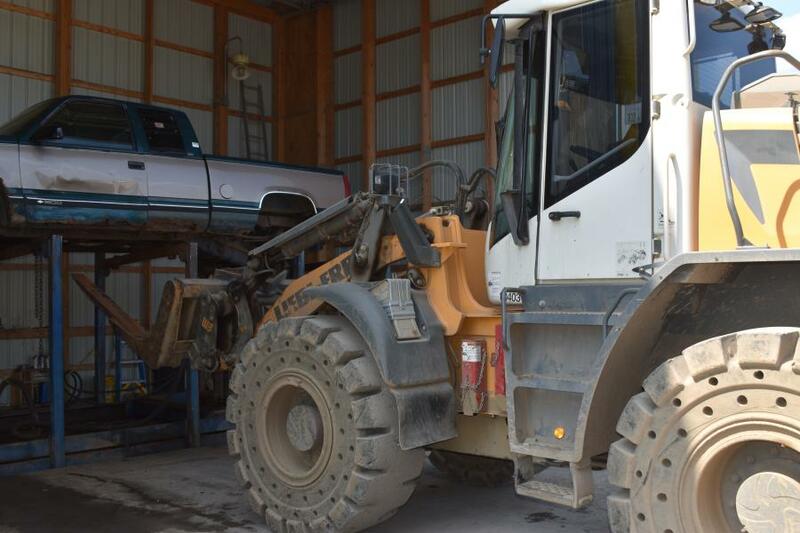 A tremendous investment has been made in equipment that will allow Wilbert's to recycle as much of the automobile as possible with little or no environmental impact. 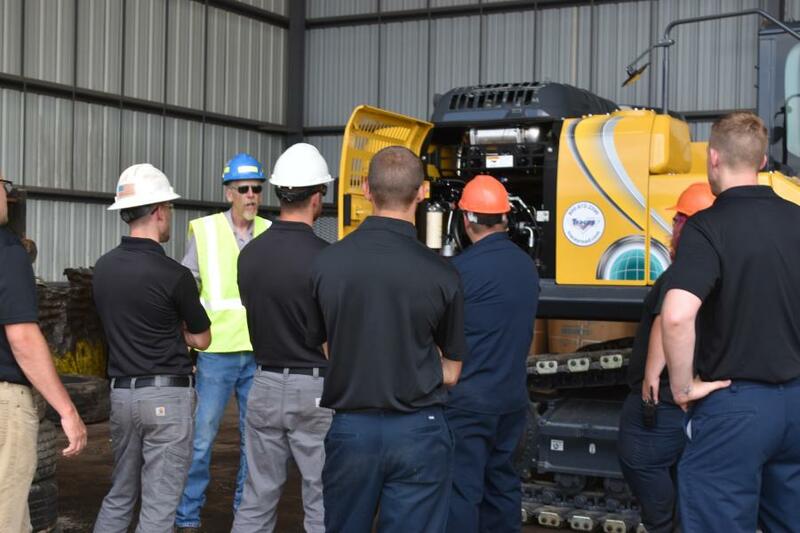 Running the day-to-day operations of its facilities requires that Wilbert's owns a fleet of construction equipment, including crawlers for yard maintenance and expansion, telehandlers for transporting vehicles, wheel loaders and compact tractors. Over the past couple of years, they have done an increased amount of business with Tracey Road Equipment, including the purchase of two Liehberr loaders and a Dieci telehandler. 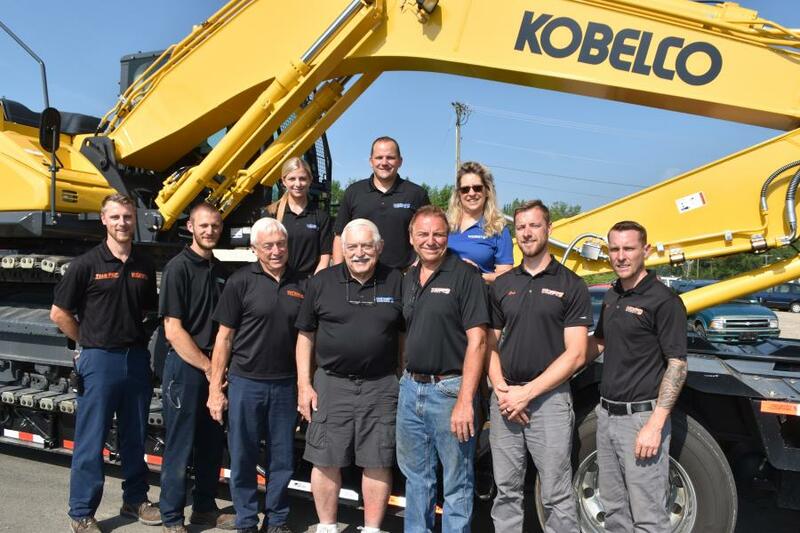 The experience of purchasing these three machines and the support that the company has received afterwards made the Wilbert family very comfortable with the decision to purchase the Kobelco SK210D-10. “We have been using an older Kobelco dismantler for some time,” said Ronald Wilbert. “We were introduced to the technology by another U-Pull It business. That machine is a model 135, much smaller than the model we are purchasing. Founded in 1952 by Arthur Wilbert, the company is now run by his children: Ronald, Richard, Peter. A third generation of Wilbert's is now entering the business. There are currently eight grandchildren that are in different phases of entering the business. According to Peter Wilbert, Arthur worked for a local Buick dealership in the 1940's. He left there to start his own repair facility that specialized in repairing Buicks. Along the way, he started buying salvage Buicks and stripping parts, both for his own use and to supply to other mechanics and repair facilities. 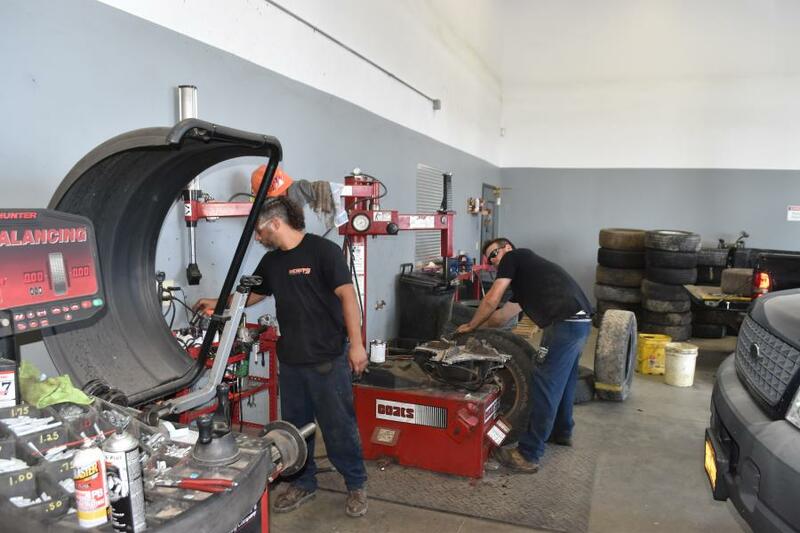 In 2000, the Wilbert children made the decision to focus solely on the parts business, and today, the company has three facilities offering a full range of recycled, domestic, and import auto and light truck parts. 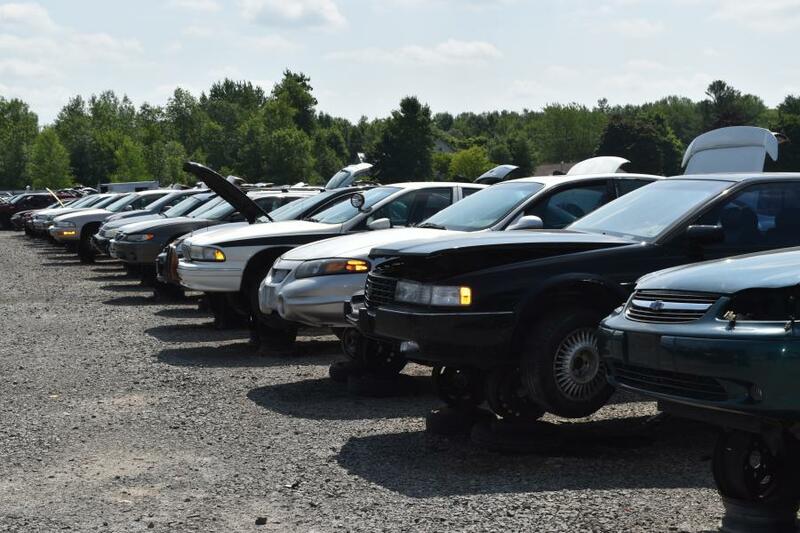 In addition to the Williamson, N.Y., location, a second U-Pull It facility is currently opening in Bath, N.Y. Wilbert also has two full-service locations — one in Webster, N.Y., and the other in Ontario, N.Y. — where parts that have already been removed from salvage vehicles and tested are available for purchase off the shelf. For more information about Wilbert's U-Pull It, visit www.wilberts.com/u-pull-it/. Located in East Syracuse, N.Y., Tracey Road Equipment offers a complete range of new and used sales and rental equipment, as well as service, parts, warranty and financing capabilities. For more information about Tracey Road Equipment, visit www.traceyroad.com. KobelcoNew YorkRecycling & Processing EquipmentTracey Road Equipment, Inc.
Kobelco New York Recycling & Processing Equipment Tracey Road Equipment, Inc.